Hey folks! My name is Jonas Zeitz Floor, and I am a Junior 3D artist at Norsedale. 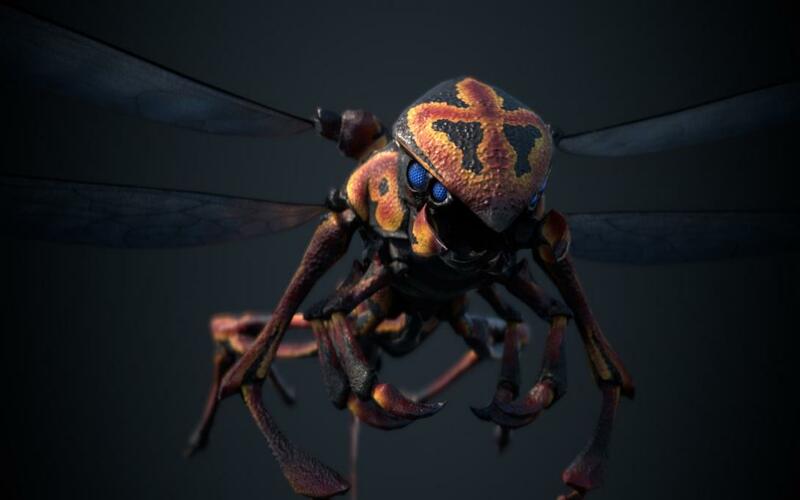 I've been spending the last month and a half on this Dragonfly creature for Deep Rift 9™ and it has been much fun coming up with the design and bringing it to life! I spend most of my time in ZBrush which is a digital sculpting software. This is where I did my designwork as well as the finishing the model. Once I and my art director was happy with the outcome, I was able to make a low resolution model that is more game friendly than the highly detailed model from ZBrush. When that was done I was able to apply textures to the model and apply the detail from the detailed model to the gamefriendly model. Of course what you dont get to see is the hours upon hours of process it took reaching each milestone.